Enjoy your trip from Madrid Airport to Madrid City, Toledo City or Avila City in a private vehicle with a English-speaking driver. Elegant Mercedes-Benz Luxury Van will be provided with water for all the passengers . 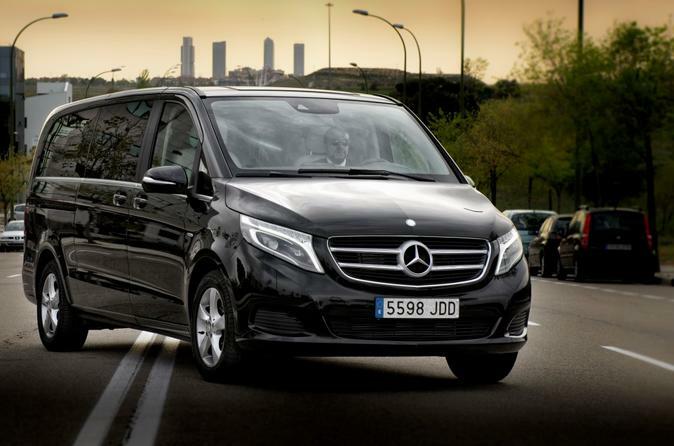 Enjoy a comfortable and a private transfer from Madrid Airport to Madrid City, Toledo City or Avila City in an elegant and full equipped Mercedes Benz vehicle. Your knowledgeable driver will pick you up at your Madrid Airport Adolfo Suarez Airport in the agreed time and will bring you safely to Madrid City, Toledo City or Avila City.